Ame-Yoko. American… in Ueno. Kind of… It’s where the Americans had many of their ‘Candy Shops’ in Tokyo. But this ‘Ame’ is also short for ‘American’ you can still find many Western clothes and products, but this shopping area has been basically filled with vendors of all sorts; food (seafood, nuts, fruit, dried food, etc.). 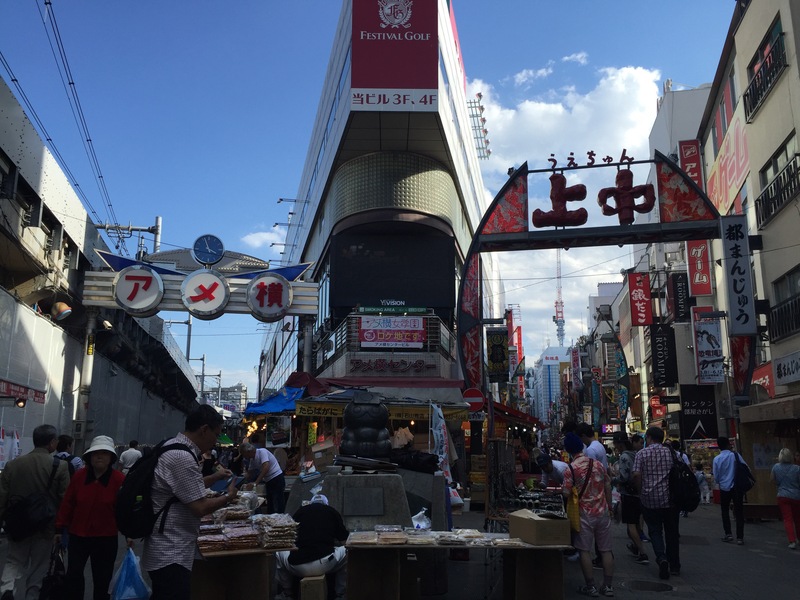 Closer to Ueno station, the streets are filled with ‘izakaya’ and even at this time of the day, 4pm, many of them were filled with people. The best little shop I saw that day had ‘all-you-can-drink’ for 30 minutes! ￥390… how perfect is that? On your way home, want to grab a ‘happy hour’ drink… well, why not a few! Looked awesome!